We've been here before, haven't we? Tennis greats Roger Federer and Rafael Nadal have both made it through to the final of a Grand Slam singles for the ninth time in their career, their first major-title clash since the 2011 French Open. Nadal has been installed as slight favourite to improve on his already-impressive personal series with Federer. Nadal leads 23-11 in main-tour meetings, 25-11 if you include the Mubadala pre-season rumble in Abu Dhabi. Federer, who could probably count himself as fortunate to reach the final once Stan Wawrinka woke up after incurring a two-set deficit in the last four, hinted that things are different now in his rivalry with Nadal. But what has changed? With Novak Djokovic and Andy Murray, currently the principal players in the way Federer and Nadal were, out of the way early at Melbourne Park, should we really be that surprised that the two other members of the original big four have taken advantage and stormed through to the final? With Federer back to his best and well rested after missing the second half of 2016 and Nadal having been hopeful of adding to his solitary Australian Open singles crown in the last couple of years - Fernando Verdasco put paid to the Majorcan's hopes in Melbourne a year ago - the answer is a resounding no. Bookmakers know that, so punters should not be greatly surprised by seeing the pair back at Rod Laver Arena on the tournament's closing day. Federer's brilliance down under this year - the Swiss legend looked sharp in the Hopman Cup in his campaign opener - has turned the heads of the oddsmakers but it would be wrong to ignore the strides Nadal has made. The layers find in the favour of the 30-year-old against his five-year-older rival after Nadal added Grigor Dimitrov to a list of victims including Alexander Zverev, Gael Monfils and Milos Raonic. Dimitrov was the toughest of that group to defeat, but that was always likely to be the case in a tournament in which the strongest survive. In theory, Federer should be tougher again, but given that Nadal's unforced errors counts have been tidily low, there looks a decent chance that the Pearl of Manacor can defeat the 17-time Grand Slam champion again. Federer won their last clash, but that was in his home tournament of Basel, it was indoors and it was close. Taking into account the fact that Nadal lost his way considerably more than Federer did in the wilderness years, this looks a huge chance for the younger man to notch another Aussie Open title. 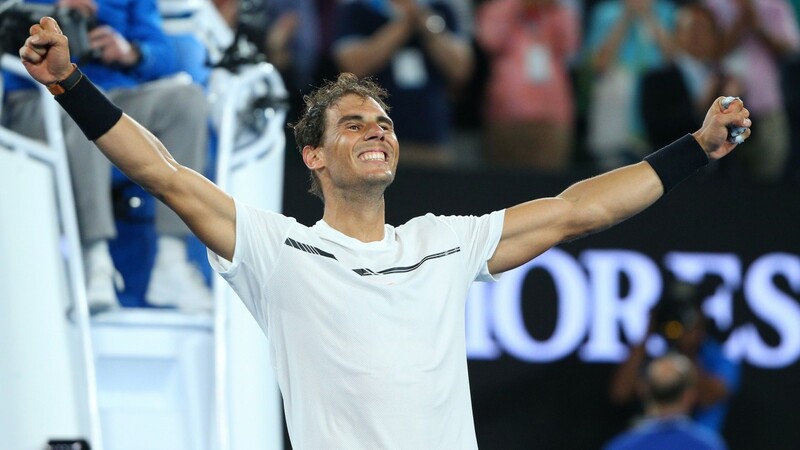 Federer has the benefit of having had an extra day of rest after his Wawrinka triumph, but the five-year age gap may balance that out and Nadal should be ready to go on the front foot against Federer once again.